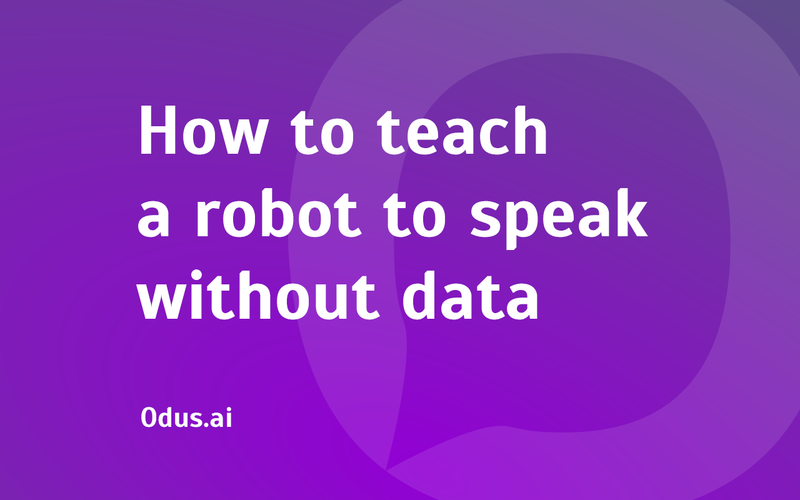 How to teach a robot to understand customers without source data? To solve this problem, Odus has a special function. It is called History. Each plugin with intents also includes a tab with the communication history. Let your customers make up all the questions themselves. I don&apos;t promise this will solve all your problems. However, the communication history needs a lot of attention so that your assistant develops further and is useful for business. Every message in the history is assigned a specific intent and answer. If you are not satisfied with the result, then you need to change the selected intent for another one. To do so, select it from the drop-down list in the second column of the table. After that click the True button. The processed answer will shown as in the image above. You can assign this task to any company employee. It requires no specialized knowledge. After checking the history of all plugins, you have added some unrecognized questions. Now you need to train the assistant. You will be informed about it by a short red message. It is the counter of posts that have been edited. Click the Train the bot button, and in a minute your assistant will become a little more intelligent than before. If the bot understands the question, then the history entry is recorded in the plugin to which the subject of this question is related. If the bot does not understand the question, then such an entry appears in the history of all plugins. Select the relation of the question to an intent it refers in only one plugin. This will make it disappear from the other plugins’ histories. Important: Use the correspondence history wisely and add no obviously “junk” requests to your assistant. Otherwise, you can ruin the statistics, and the assistant will only have more trouble understanding what it is required to do. P. S. Subscribe to our blog and watch for updates. 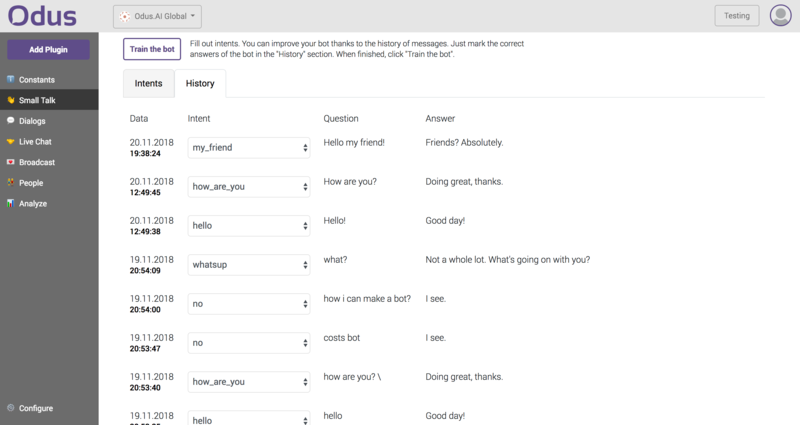 Very shortly we will tell you how to connect operators to chat rooms, add new functions to the assistant and connect to your CRM.